When I tell people that I am going to be judging a barbecue competition, I always get that smile and a wink. Few casual observers of the strange world of competition barbecue think that judging is difficult or should be take very serious. Try explaining that to the competitors, particularly those who make a living on the competition circuit. To better explain the process, let me walk you through the opportunity I had to judge the Jack. 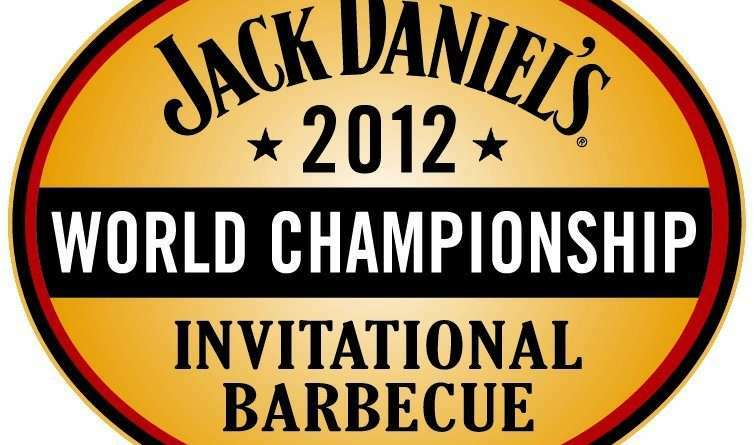 Otherwise known as the Jack Daniel’s Invitational Barbeque Competition this competition is considered by some to be the world championship of barbecue. To be invited, a team must win a major competition during the season, like a state or national championship. This year’s Jack was the 24th annual event in Lynchburg, Tennessee where 87 teams competed, coming from nearly every state in the union and from as far away as Australia. There has to be a judge for each team and each judge scores the entries from 6 (sometimes 7) teams. At the Jack there are seven categories, with the traditional Kansas City Barbeque Society (KCBS) sanctioned entries for chicken, ribs, pork, and brisket. In addition to these, the Jack has awards for sauce, chef’s choice, and dessert. It is the Chef’s Choice and Dessert categories that offer the best opportunities for creativity since virtually anything can be turned in. On Saturday the 27th, I arrived at Wiseman Park on a cold and rain threatened morning to check in at the judges table, collect my souvenirs apron, silver pen and wait for the start of the judges meeting. Judges spend this time walking around collecting autographs on their aprons from the other judges. There are people who have more than 20 of these aprons collected over the years. To show you how important these are as mementos (fully covered in signatures), before I could work up the nerve (or audacity) to ask for the signature of Mike Mills, he came to me and asked for mine. The Jack stands out among all the other hundreds of barbecue competitions in that legends of barbecue, local, even national celebrities, line up to judge along with everyone else who is either lucky enough like me to be invited, or who gets on the list early enough to volunteer. This year, country start Keith Anderson joined Artie Davis (aka Reamus Powers), Mike Mills, Famous Dave Anderson, and me at the judging tables. At each table six people sit to judge while a seventh serves as table captain. At the Jack there are two co-captains to help keep everything moving smoothly and to pass extra food off to the gathering crowd. This is a barbecue competition, so there are no knives and forks, and the plate is a thick piece for laminated paper printed with boxes where the food is placed. Each category of food has a specific turn in time and contestants have to bring their entry to the turn in table before the clock runs out. On a cold day, like it was in Lynchburg this year, the secret is to keep the food as warm as possible and to turn it in as late as possible so that there is still a chance that hot meats will reach the judges table before turning cold. The white polystyrene turn in boxes are renumbered by the turn in staff, sorted into groups of six and taken by the table captains to the judging tables. After filling out the judging forms with the box numbers the contents are exposed to be evaluated for appearance. Once all the judges have written down their scores, the boxes are passed around and each judge takes a sample. The entries are judged for taste and texture. The scoring system, according the KCBS rules used by the Jack, scale entries from 1 to 9 with 1 being a disqualification for some rule infraction. A score of two, would be something that you wouldn’t want to put in your mouth, and nine would be something you wouldn’t want to take out. Six is considered average. For those who haven’t had the opportunity to try competition level barbecue, I would put the typical fast casual barbecue joint in around a three and the best barbecue restaurants around a seven. The Jack has the best of the best and I gave a few nines and several eights and sevens. Scores are tallied with each criteria (appearance, taste, and texture) multiplied by a complex number to reduce the likelihood of a tie and to weight the scoring in favor of taste first, texture second, and appearance last. Once the scores are all gathered and run through the computer winners are announced, with typically the top 10 teams being named. From the individual category scores a total performance score is generated to give the overall winner or grand champion. The Jack does not have the biggest prizes in barbecue, and the $30,000 is divided among the top scoring teams in each category with the biggest prize going to the overall grand champion. With the aprons signed, the oath taken, and the rules read it was time to get down to judging. The first category was barbecue sauce, a difficult item to judge since so many competition teams use Blues Hog BBQ Sauce as their base and because all there is to judge is a small pool of sauce on your “plate”. The winner here is probably the team that doctored and thickened their Blues Hog the best. Entries are turned in every half hour and after sauce came the Chef’s Choice Entry. This can be literally anything (though it must include Jack Daniel’s) and is typically a main dish. Our table got three entries including a whole crown of pork and a sauerbraten inspired flank steak dish. All of these were served on huge platters and the judges are expected to taste everything on the platter. The pork dish included vegetables and stuffing and was simply one of the best things I have ever put in my mouth. It was at this point that I realized that I wasn’t simply hungry; I was famished having skipped breakfast in preparation for the hours of eating. I had to force myself to remember judging rule one, pace yourself. In a typical four entry competition a judge can taste 24 samples of meat. If a judge were to eat two ounces of each entry, that would equal three pounds of meat. Add to that water and saltine crackers to clean the palate and you could end up eating more than many stomachs can handle. Pacing is vital particularly here where our table tasted 38 entries. Once the judging slips were turned in, the table captains took their samples and passed the rest among the crowd that gathered to watch the judging. From here the real barbecue competition started and the chicken boxes started showing up. When judging lesser competitions it is important the tear open the chicken to make sure that it has been properly cooked, a lesson I learned years ago. At the Jack it is safe to assume that these competitors didn’t sleep in and fail to start cooking the chicken in time to cook it through before packing it into the white boxes. Chicken is an interesting item. At the Jack, competitors are expected to turn in white and dark meat, but at most competitions everyone simply cooks chicken thighs. Most of our table sampled thighs, but there were wings and legs along with chicken breast. Almost everyone produced a similar sampling of chicken other than the team that presented a teriyaki style chicken breast, which was good, but not the expected barbecue flavor. The flavor of barbecue might be difficult to tie down, but most judges will tell you that they know it when they taste it. The four main barbecue categories are not rewarded for originality, teams are penalized for it. Here the goal is to produce the ideal version of barbecue, not something unique, so someone turning in rosemary infused and poached chicken quarters isn’t going to get scored well, even if the taste and tenderness are fantastic. From chicken we moved to BBQ Ribs. Here we got lucky and received seven boxes instead of six due to a shortage of judges or an over abundance or teams. Ribs are easy to judge for tenderness. Simply bite down on the center of the rib straight to the bone and pull away. If the meat around the bite stays on the bone, but the bite pulls away clean, then they got the tenderness perfect. Fall off the bone ribs are not going to get a good tenderness score. Three of the seven entries on my table managed this; something I found a little surprising. As for taste, they were all very similar. On my score card I gave sevens and eights. Nothing stood out as fantastic, but everything was very good; better than you will find in most barbecue joints in the country. Because of the turn in times and how the boxes are distributed to the tables there is often time in between each category to get up and stretch your legs or try to get into the crowded porta-pottys. On this cold October day in Tennessee, I took advantage of the time to thaw out my face and hands. By the time the “pulled” pork boxes showed up I was getting full and worried about the final entry, dessert, which is renowned for creativity, especially among the European teams who often come armed with a pastry chef. I knew that this would be tempting, so I remembered the first rule and dived into the seven samplings of pork. 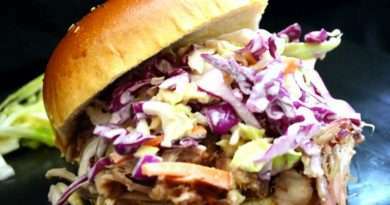 It is generally called pulled pork, but increasingly teams are turning in slices of pork these days. The problem with pulled pork on the judges table is that it simply doesn’t hold heat and when the weather is cold, judges are going to get something less than desirable. Again, the pork category was very good. While nothing stood out as the best I have ever had, I find it difficult to remember exactly because it was here that the food coma started setting in. When the brisket finally showed up my brain was slowing down to a snail’s pace and a good nap sounded like the best idea I had had in a long time. Brisket is similarly easy to judge for tenderness. Slices (though chopped or pulled can be turned in but generally are not) should be the thickness of a pencil and should pull apart with good springy bounce. I found most of the brisket close to perfect on tenderness though someone managed to present a tender, springy, yet dry slice of brisket. I’m not entirely sure how this was done. With the brisket judged I jumped up and walked around stamping my feet to try to get the creeping nap out of my head. One category left and I needed a strong cup of coffee if I was going to be awake to find out who actually won this thing. It was while I was still standing that the fuss began. The dessert entries were arriving and our table was being presented with a foot long barrel made entirely out of chocolate and filled with a Jack Daniel’s caramel crème. All of the dessert entries, like the sauce and chef’s choice had to contain Jack Daniel’s. This one certainly got everyone’s attention, and people were crowding around to take pictures. Beside the barrel, was six whipped cream topped cups with a spoon sticking out. The cups, inscribed on the side with “Jack Daniel’s Invitational 2012”, and the spoons were made of a lightly smoked chocolate. Like a dish served from Willy Wonka’s factory, everything was edible. Digging deep into the cups we found a Jack Daniel’s infused cream ganache. An amazing dish considering it was made at what would be considered a little more than a campsite. A phenomenal dish from anywhere frankly. The other dessert entries on our table included a Jack Daniel’s doused upside down cake and a set of what I will describe as gingerbread moon pies with a Jack Daniel’s cream filling. An interesting fact of judging any cooking competition is that in the heat of the moment there are those items that jump out at you and there are those that linger in the mind later. Two days after the competition, when I was finally hungry again, it was those little gingerbread cakes that I wouldn’t have minded trying again. Simple, yet flavorful, I could really go for another one right now. Once the final score card was turned in, the discussions really started. Now is the time when the judges who stick around start talking about the things that truly stood out, about the failures and successes and about how similar most of the barbecue entries were. Judging barbecue isn’t about looking for something new and unique. It is about finding the perfect example of barbecue, that rack of ribs, or a pile of pork that would exist on Plato’s ideal plane under the sign, barbecue. Judging is as the oath calls for, an objective and subjective process of narrowing down to what barbecue is. It might not be definable, but after a few competitions, you will know it when you taste it. 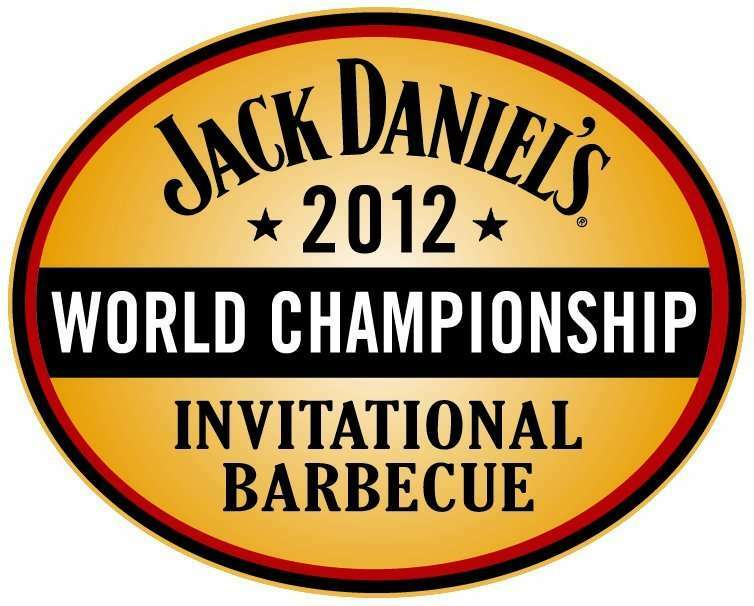 I would like to thank Jack Daniel’s and DVL Public Relations for a great weekend in Lynchburg, Tennessee. Thanks are also owed to the cooks and staff at Miss Mary Bobo’s for a great lunch. To Goose, the best tour guide I’ve had in many years. To Jeff Arnett for allowing me try some un-aged Rye. To Nikki and Kristen, who are truly expert cat herders.